Every once in a while a product surfaces that is hyped to death. 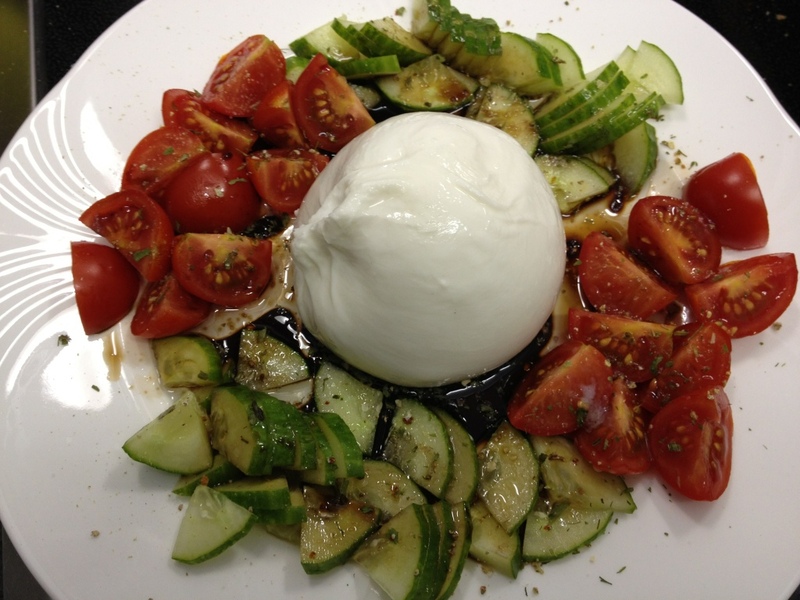 To me Burrata is one of them. It has been talked about a lot recently and when it was on sale at my local supermarket today I thought I’d give it a try. 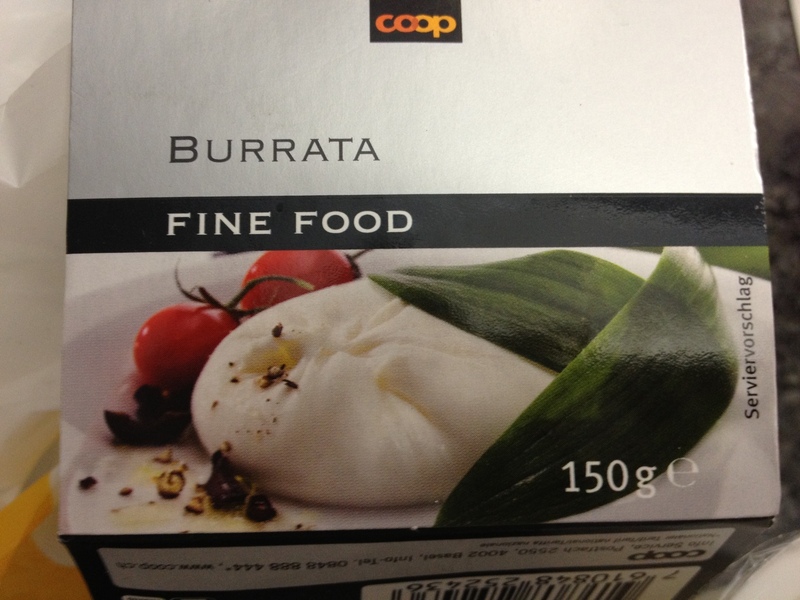 I researched Burrata a little and apparently it is best served with a little olive oil, sea salt and pepper. 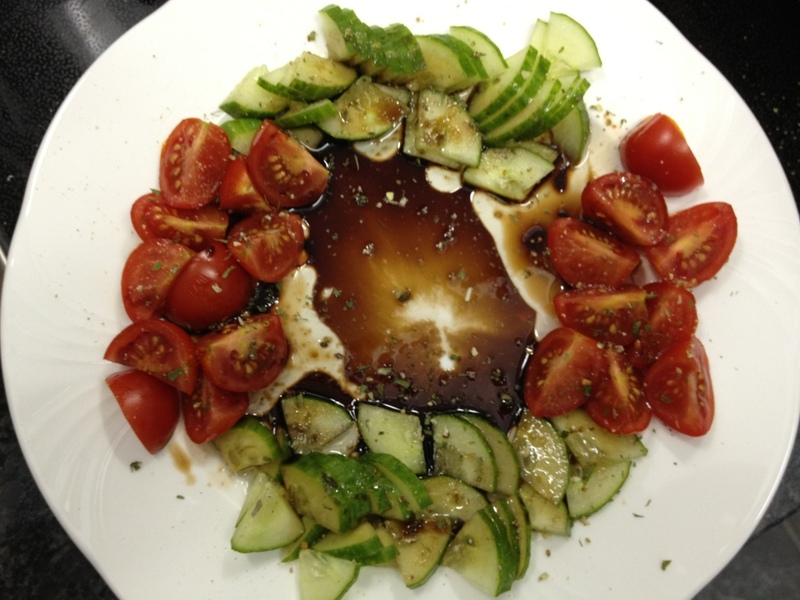 I added cucumber and tomato and a dash of balsamic vinegar. It tasted okay but I don’t really see what all the fuss is about. It was not that different from mozzarella. 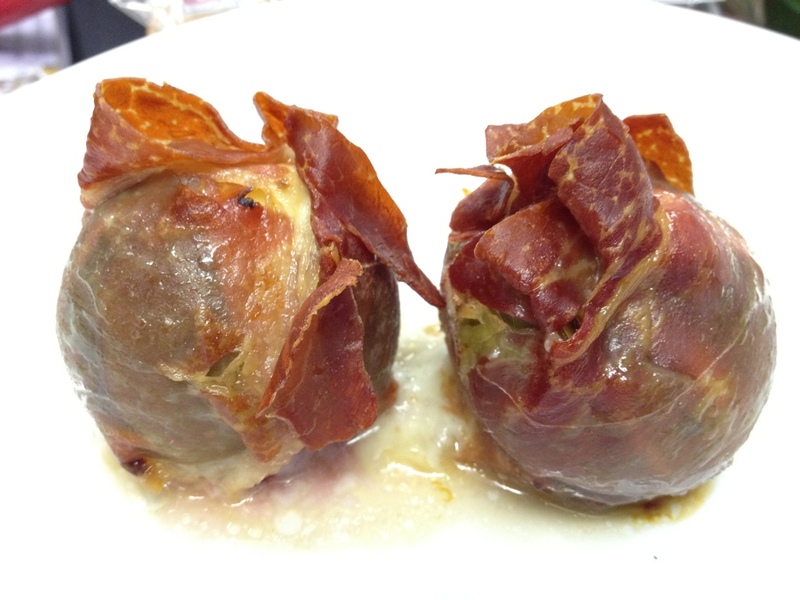 I also made figs wrapped in parma ham. A tasty favourite of mine. 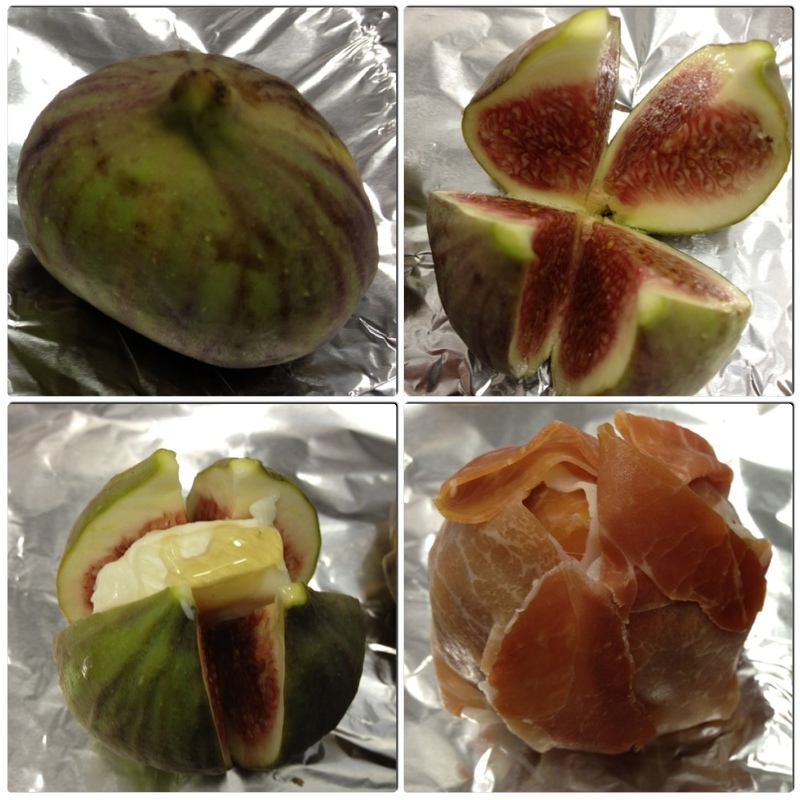 I simply criss cross the figs, stuff some goat’s cheese in the middle, add a tiny drizzle of honey and then wrap each fig in a slice of parma ham. 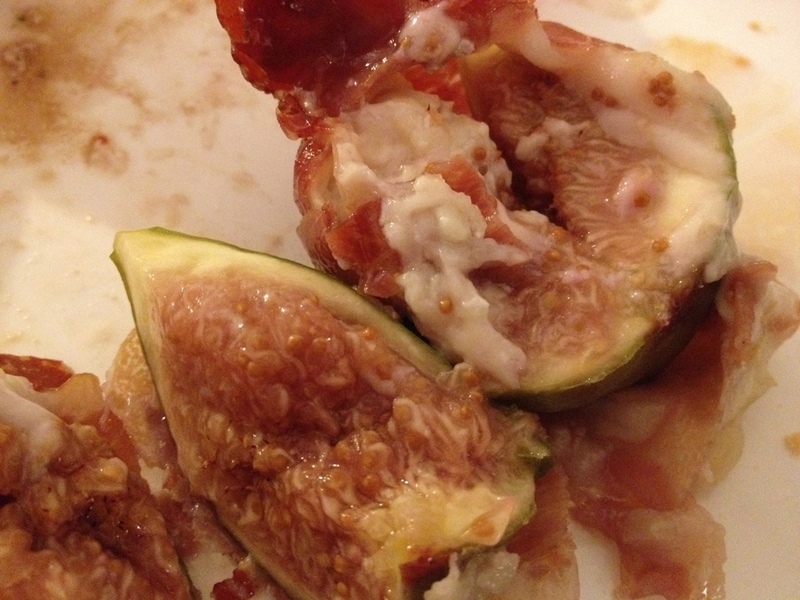 After 10 minutes at 180C the figs were cooked to perfection.